The Fright Meter Awards Committee selected Tom Savini to be the first ever recipient of the Fright Meter Lifetime Achievement Awards. Savini has worked in the industry for nearly forty years. He is best known for his ground-breaking make up and special effects in such films as Dawn of the Dead, Friday the 13th, Maniac, The Burning and The Prowler. His frightening realistic effects set the standard in the industry and provided some of the most memorable scenes in horror film history. Additionally, Savini has directed several genre films, including the 1990 remake of George Romero's classic Night of the Living Dead. Savini has also appeared on camera, acting in films such as The Ripper, Creepshow 2, Grindhouse, Django Unchained and Machete Kills. Truly a pioneer in the industry, Tom Savini has devoted his career to the horror genre, and his impact on the genre will be felt for years to come. 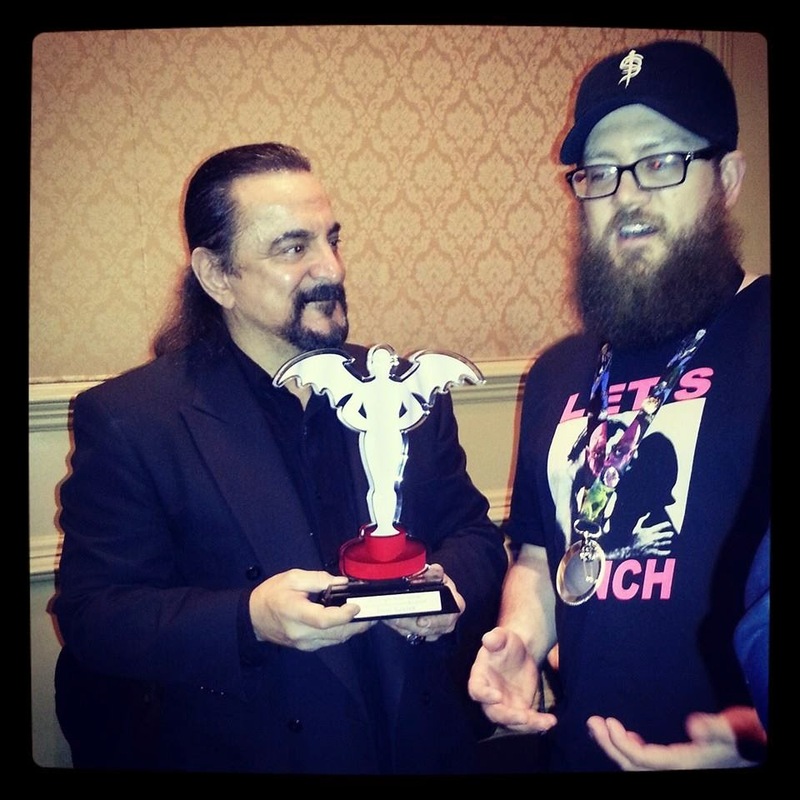 Tom Savini accepts the 2013 Fright Meter Lifetime Achievement Awardf from Fright Meter Awards Committee member Colt Seaver Nowell.